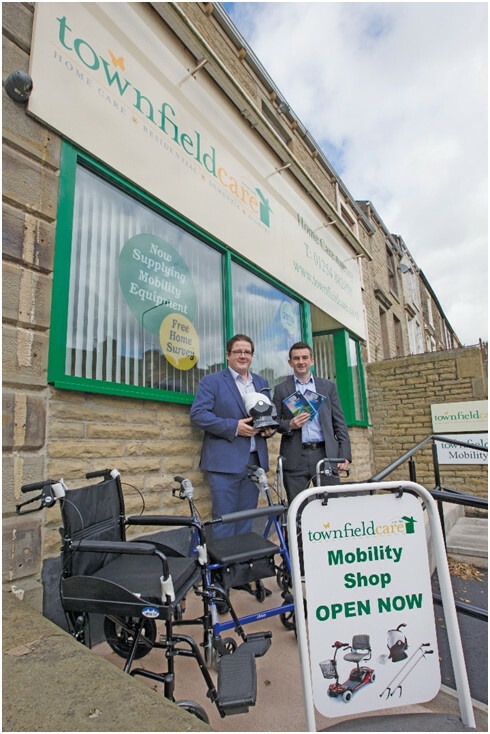 Our Brand-New store, Townfield Care Mobility, has opened in Great Harwood. 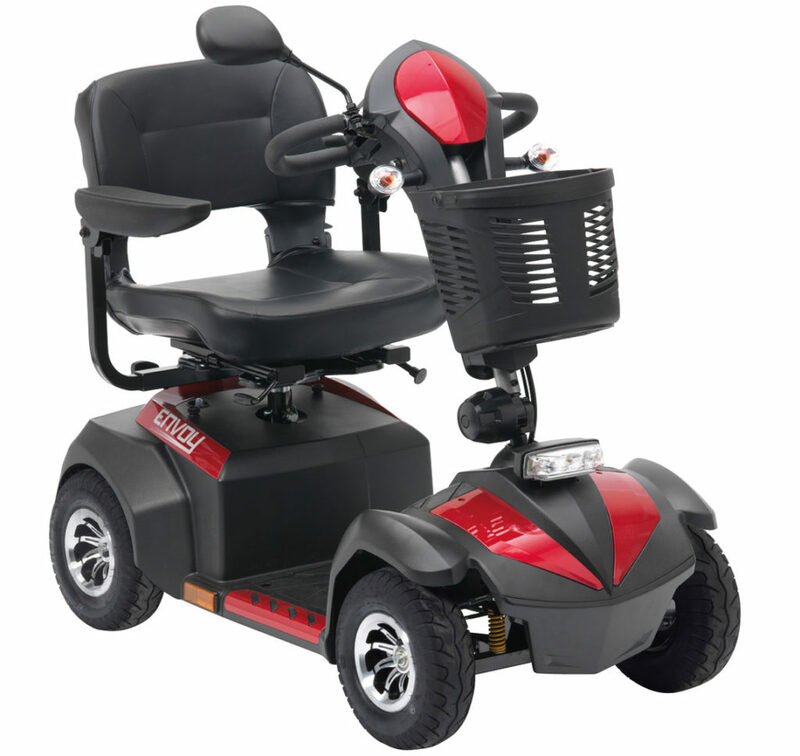 With products ranging from mobility scooters to easy can openers, to help people have the best quality of life possible. 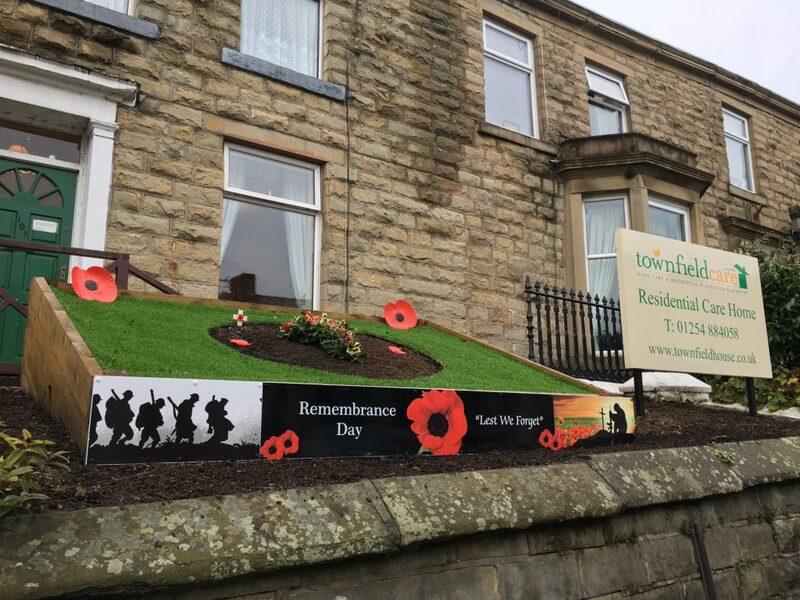 Run by brothers, Michael and John Timmins, Townfield Care is a family-owned company that has been providing residential and at-home care services in the Hyndburn area for over 35 years. Our focus has always been, and will always be, providing personalised care and improving quality of life. We plan to use our expertise and experience to open our first ever mobility and daily living aid store at 79 Church Street in Great Harwood, to further improve the quality of peoples’ lives; particularly those who live independently at home, and those who receive in-home care. Townfield Care doesn’t just offer competitive prices for their products, an at-home service and decades of knowledge, but they also provide support and guidance to the people who visit their shop or use the services – ensuring they receive individualised and person centred care. 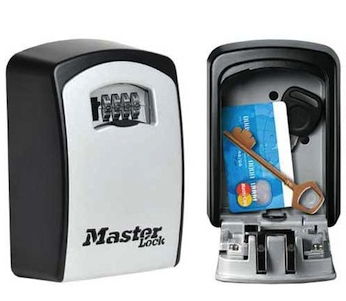 All of this signifies that they are in a very ideal position to help anyone in the community who would benefit from aid for independent living. 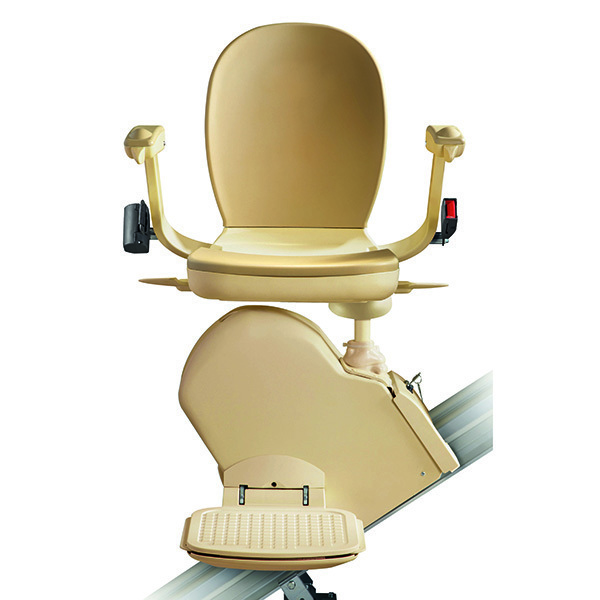 While focus lies with mobility scooters, the shop sells a vast range of innovative products, from shoe removers to easy-pour Tipper Kettles, and from absorbent chair pads to travel chairs. 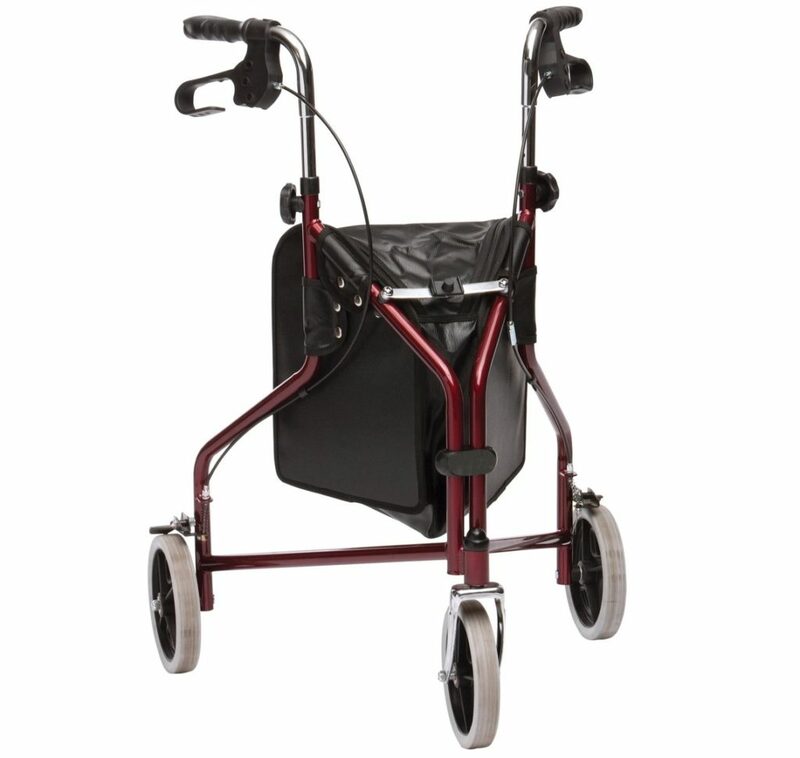 Such products make living day-to-day life easier through making tasks, from the most simple to the most difficult, more accessible; in turn, allowing individuals to live more independently and therefore improving quality of life. Michael and John offer a home survey service, for which they will come direct to your home and “make recommendations of any products or adjustments” completely free of charge. As well as this, they offer free delivery of any items purchased from the shop. 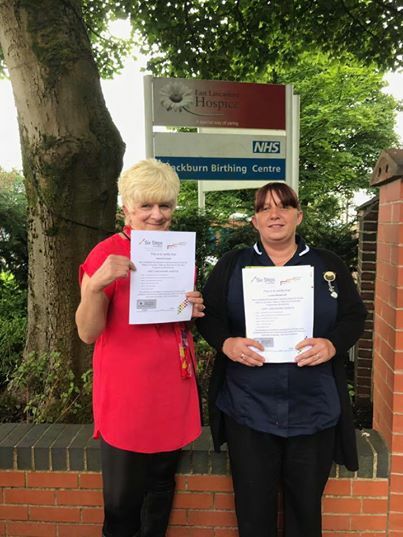 Townfield house and Sherwood house have refreshed our 6 steps to success in end of life care programme. 6 steps is a course run by East Lancashire hospice which guides us to ensure we continue providing high quality end of the life care. The course covers Communication, Discussions as end of life approaches, Holistic Assessment and Care planning, Co-ordinating End of life care, Care in the last days and hours of life and Care after Death. Work safely within the company policies, seeking advice and guidance where necessary. 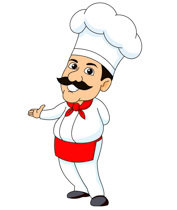 Week 2 – Wednesday, Thursday 9am-3pm, Friday 9am-1pm. Care home residents feel at home beside the seaside – in Great Harwood! Residents of Townfield & Coach House are enjoying seaside trips down memory lane now that their lounge has been decorated with Blackpool seafront mural wallpaper. 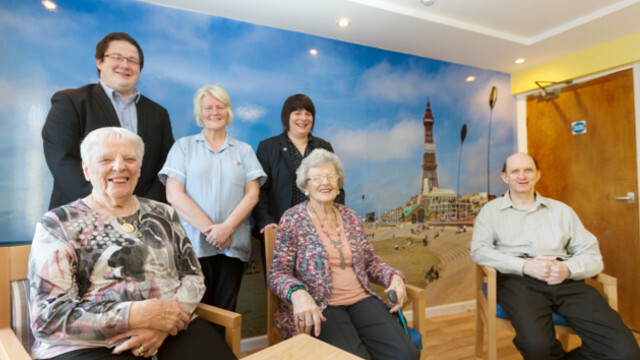 “We are always improving the living environment at our care homes. Our plan is to take guidance from the research of University of Stirling to design the home in a more dementia friendly way. By using colour-coded décor and furnishings, we can help our residents to distinguish between different areas and to feel at home in spaces they use regularly. 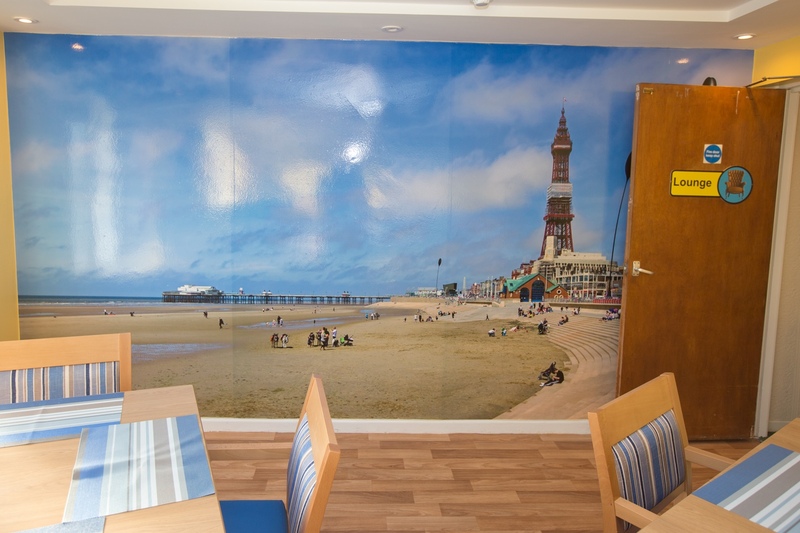 “We chose a Blackpool seafront image for our wallpaper as many of our residents are of the generation that visited the seaside resort on their annual holidays . Townfield Care is run by brothers Michael and John Timmins. 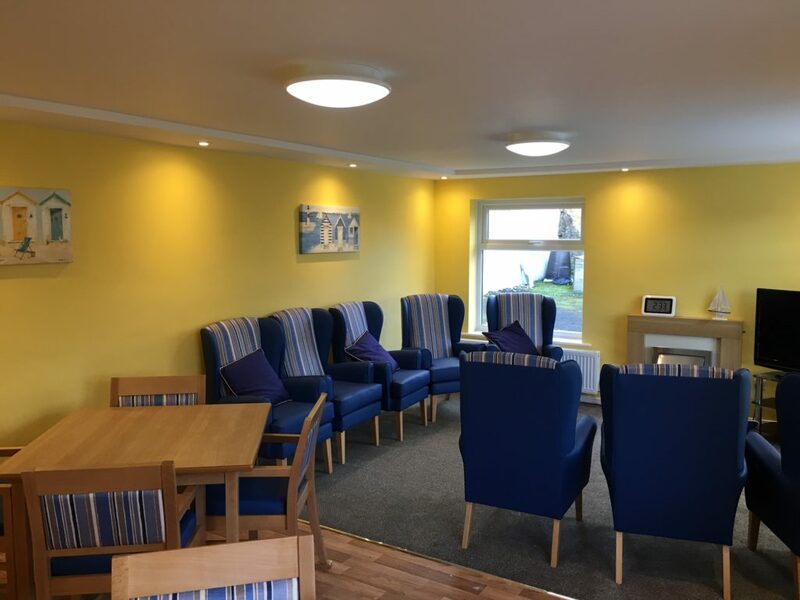 It operates Townfield & Coach House, a specialist dementia care home in Great Harwood, Sherwood House, a small residential home for the elderly in Rishton, and an expanding home care service throughout Hyndburn, Ribble Valley and Rossendale. 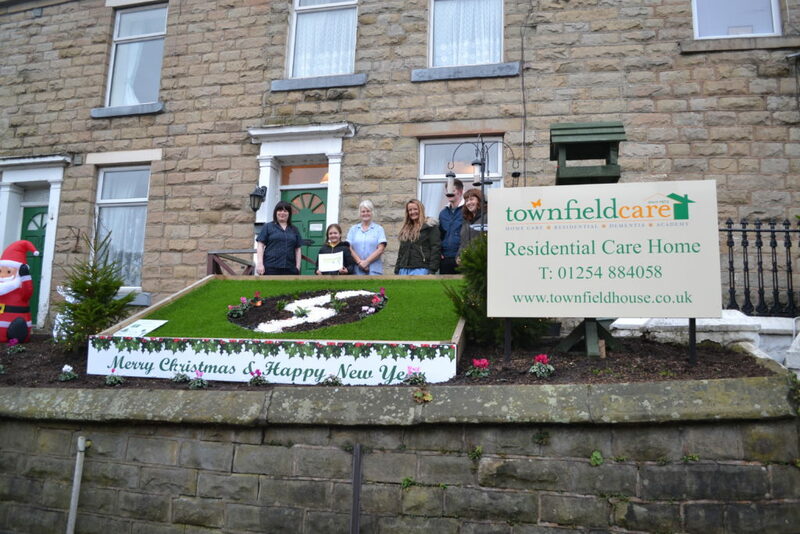 To find out more about the care services provided by Townfield Care call 01254 884058. To find out more about marketing and design services provided by Burnley’s Scott Dawson Advertising, visit www.scottdawson.co.uk or call (01282) 426846. Finally Thank you to the service users who continue to choose Townfield to provide your support and also to the visitors, families and friends who help us to provide the very best care and support. Townfield Care teamed up with St Bartholomew’s Primary School as part of the schools Christmas ECO Challenge. The challenge was set in November and there were over 40 entrants from pupils into the competition from across all ages at the school. The designs where then handed over to the residents at Townfield who had the tough job of selecting a winner. Mia- Jade Holroyd a Year 4 pupil created the winning design which included a red robin with its house & feeder, Christmas trees, Holly, Fairy Lights and a snow white path. Townfield & Coach House Garden Display for Remembrance Sunday. The Display garden has been dedicated to remembrance Sunday for the month of November.